Background sound is a constant in our busy lives. Normally, background noises are at safe levels that won’t impact our hearing, but repeated exposure to noise above 85 decibels (dL) can cause hearing loss. 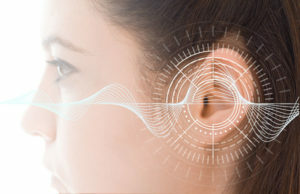 Noise induced hearing loss, as a matter of fact, is the second most common form of hearing loss (ranking behind presbycusis, hearing loss related to normal aging), and is the most preventable type. Hearing loss is often perceived as “a disease of the elderly,” but noise induced hearing loss shatters that stereotype because it can affect people of all ages, including children, teenagers, and adults young and old. It is estimated that 15 percent of Americans between the ages of 20 and 69 are experiencing hearing loss that is the result of exposure to excessive noise either at work or through recreational activities. High-risk pursuits include hunting, riding motorcycles and snowmobiles, attending rock concerts, listening to music at high volume through ear buds or headphones, and even mowing the lawn or using a leaf blower. Many times exposure to loud noise causes a temporary hearing loss that disappears within 48 hours, but over time this may lead to long-term hearing damage. The good news? Noise induced hearing loss is 100 percent preventable. An awareness of activities that can cause hearing damage is key. When exposed to loud noise, be sure to wear earplugs or other protective devices. Many audiologists carry custom earplugs designed for specific activities such as hunting and listening to live music. Keep the volume at a reasonable level on your MP3 player. Regular hearing tests can help identify problems early, reducing your risk of developing long-term damage.